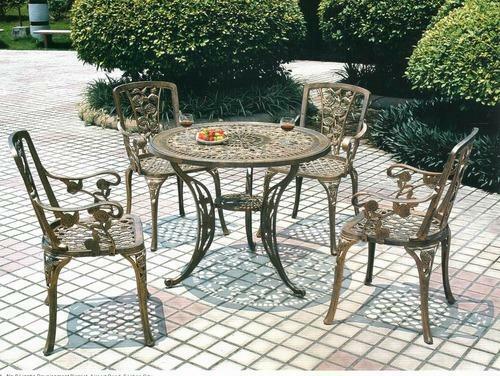 We are a noteworthy organization in the domain, engaged in providing a high quality range of Traditional Cast Aluminum Furniture. This furniture is designed by our experienced professionals using optimum quality aluminum in compliance with the market standards. Our offered furniture is examined under the supervision of our experts before dispatching at customer’s end. These products are made accessible in a wide variety of dimensions and sizes in order to meet the demands of the clients.